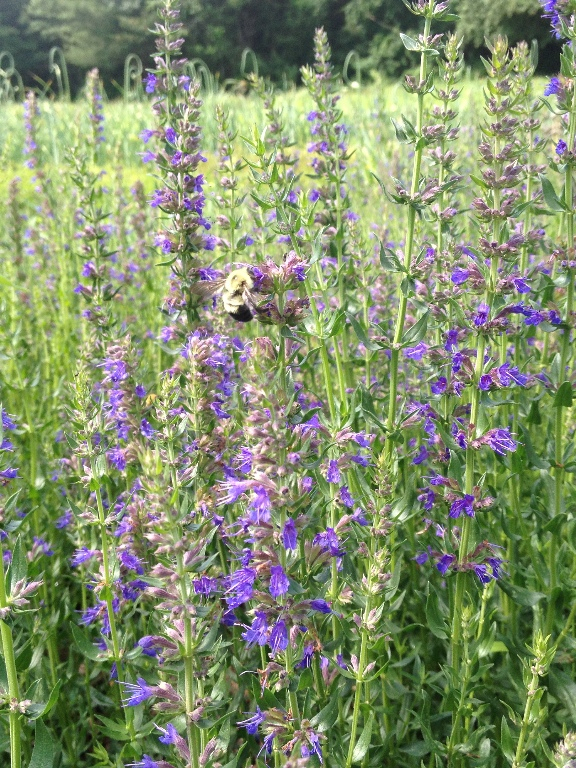 Hyssop is a bitter, pungent mint with a long history of medicinal use. In ancient times it was used as a general remedy for fever, measles, typhoid fever, spotted fever and inflamed bowels in children. As a syrup hyssop can be used for coughs, sore throats, bronchitis, and asthma. With its bitter qualities it can help to improve digestion and assimilation of food. Hyssop is also a diaphoretic, helps dissolve harden mucus, and treats jaundice. To use hyssop, remove the leaves and flowers from the woody stalks and make a tea infusion, an alcohol extraction or syrup. To make a syrup, add 2 ounces of herb mixture to 1 quart of cold water. Over low heat, simmer the liquid down to 1 pint. Strain the herbs from the liquid and put back in the pot. For each pint of liquid, add 1 cup of honey and mix them well. Take off the heat and bottle for use. You can add brandy to help preserve it longer but either way should last for several weeks to months in the fridge. Cautions/Contraindications: Pregnancy. Caution with menorrhagia.